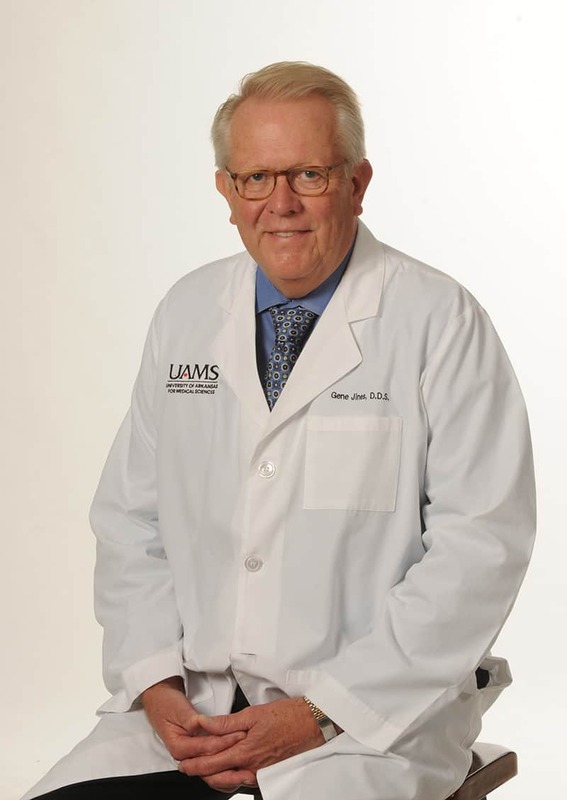 Nov. 23, 2015 | LITTLE ROCK – The University of Arkansas for Medical Sciences (UAMS) recently appointed longtime Little Rock dentist Gene Jines, D.D.S., director of the Center for Dental Education, where he has previously served as associate director the past year. As director since August, Jines leads the center, which includes the Delta Dental of Arkansas Foundation Oral Health Clinic and expanding dental education programs, including a recently started postgraduate dental residency. He joined the Center for Dental Education as associate director and as an associate professor in the College of Health Professions, which includes the center, in 2014. He has had a private dental practice in Little Rock since 1990. Jines succeeds educator and longtime dental college dean William F. Slagle, D.D.S., M.Ed., who served as director since January 2014. Slagle, who is a professor and dean emeritus for the University of Tennessee Health Science Center College of Dentistry, will continue to lend his experience and expertise to the Center for Dental Education as associate director. Jines earned his dental degree in 1975 from the University of Tennessee Health Science Center College of Dentistry. His professional affiliations include membership in the American Dental Association, the Arkansas State Dental Association — where he served as president from 2008-2009, and the Arkansas State Board of Dental Examiners — where he served as president from 2000-2005. He is a fellow in the International College of Dentists and the American College of Dentists. He is now serving as vice president for the University of Tennessee Alumni Board of Trustees.